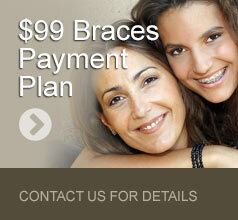 Ceramic braces are becoming increasingly popular. 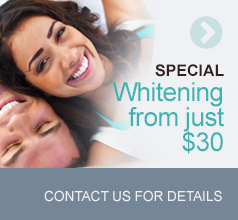 They combine the best of both worlds from both traditional & clear braces. Functionally, ceramic braces provide the same benefits as traditional or metal braces, and aesthetically, they are clear, similar to clear braces or Invisalign, so they are not as noticeable as traditional braces. Ceramic braces do still include a wire/elastic, the same as traditional braces, but tooth-coloured wires/elastics are available to make them even less noticeable! To find out if ceramic braces are right for you, complete the form to schedule a free, no-obligation initial consultation.